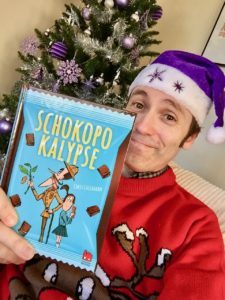 Hoping everyone had a fantastic Christmas – with lots and lots of chocolate. 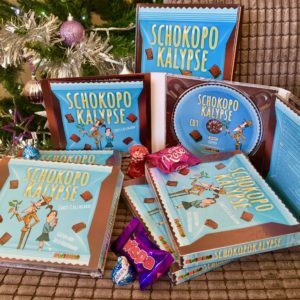 I was lucky enough to get sent the audio version of ‘Schokopokalypse’ – the German version of ‘The Great Chocoplot’. Unfortunately, I don’t speak German but me and my family had a lot of fun listening and trying keep up with the story. And yes, we had to have a little bit of chocolate too!